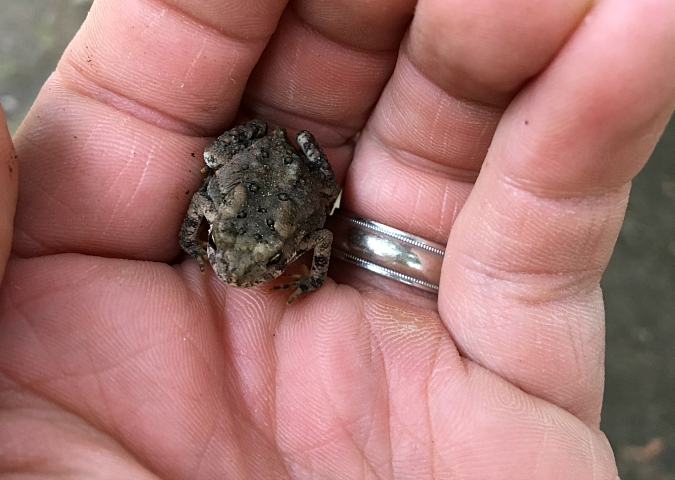 ryan was doing some yard work on monday (trying to get it all in between the crazy rainstorms we have been getting lately) and he came across this little friend in our yard! 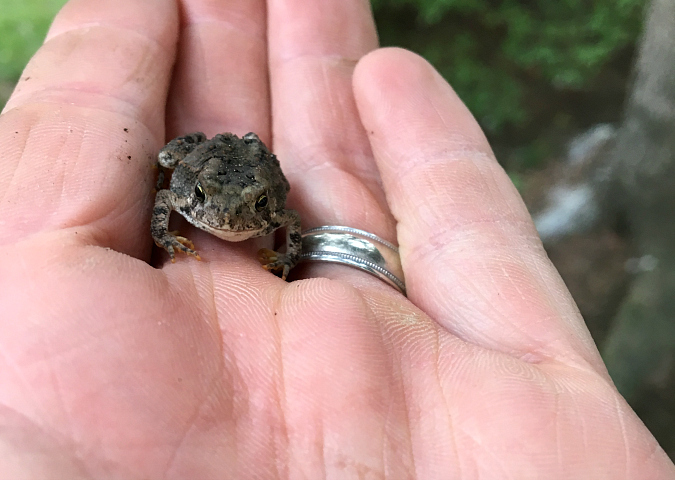 he gently moved the miniature frog out of the way so that it wouldn't get run over by the lawn mower. i like the first picture because it looks like the little frog is smiling at ryan! I am glad Ryan found him and rescued him. He is so cute and so little.